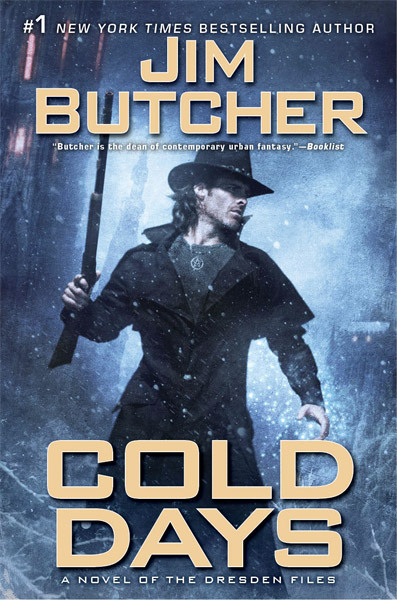 Harry Dresden is back in action, now with a new role to play in the ever-growing supernatural community of Jim Butcher’s The Dresden Files. Note: If you haven’t read the Dresden Files and/or you want to live spoiler-free, STOP HERE NOW. Otherwise, feel free to read on. And start reading this series. Like now, already. After being cornered into taking on the mantle of Winter and becoming Mab’s Winter Knight, Harry is given his first task–kill an immortal. At the same time he discovers that things are stirring in his island of Demonreach–stirrings that, if left unchecked, could result in an explosion that could take out much of the American Midwest–including his beloved Chicago. And, because two impossible tasks are never enough for Harry, he learns that an insidious influence is taking control of much of the supernatural community, with ramifications that have already affected his life and the lives of those he loves. In the process, he begins to reconnect with those loved ones–ones that have thought him to be dead for the past few months. All this he must do with a tight timetable of doom over his head as Demonreach ticks onward toward cataclysm. Butcher, as usual, writes with breakneck pacing and creates endearing characters. Harry’s reunions with his friends are handled beautifully and effectively–though Karrin Murphy’s reaction to Harry’s apparent resurrection–despite the events of Ghost Story (#13)–seemed a bit subdued. Nevertheless, the prose is definitely what one has come to expect from Butcher–tight, conflict-ridden, and funny at all the right times. The stakes continue to pile higher in this series, as does Harry’s power. Nevertheless, he is still the perennial underdog, thumbing his nose at The Powers That Be and fighting the good fight. While there are a lot of revelations in this book (almost as many as in the twelfth book, Changes), it still read like a transitional story. Characters are set into new roles. Another overarching conflict is introduced. There is still the threat of the Fomor to be addressed. And Harry must still learn to counteract the primal urges of the Winter mantle–a task that will be made exponentially harder with the biggest transition of all in the book (read the book–I won’t spoil that one). Nevertheless, Cold Days is a great addition to the series. 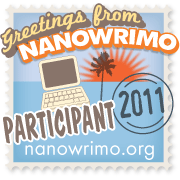 This entry was posted in Reviews and tagged fantasy, fiction, jim butcher, novel, review, urban fantasy. Bookmark the permalink. OMG, I WANT TO READ IT!! !